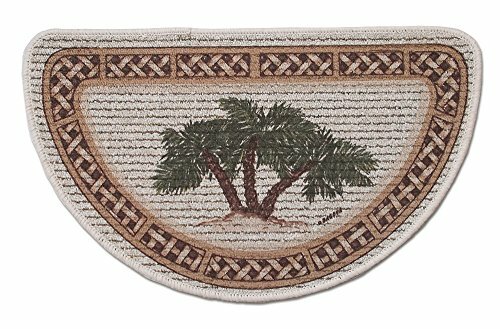 Swaying palm trees highlight this berber kitchen slice rug. Use in front of the kitchen sink or in front of your counters. Looks great in laundry rooms too. Measures 17.5 inches X 29.5 inches and has a latex, skid-resistant backing. Machine washable. Made in the USA.